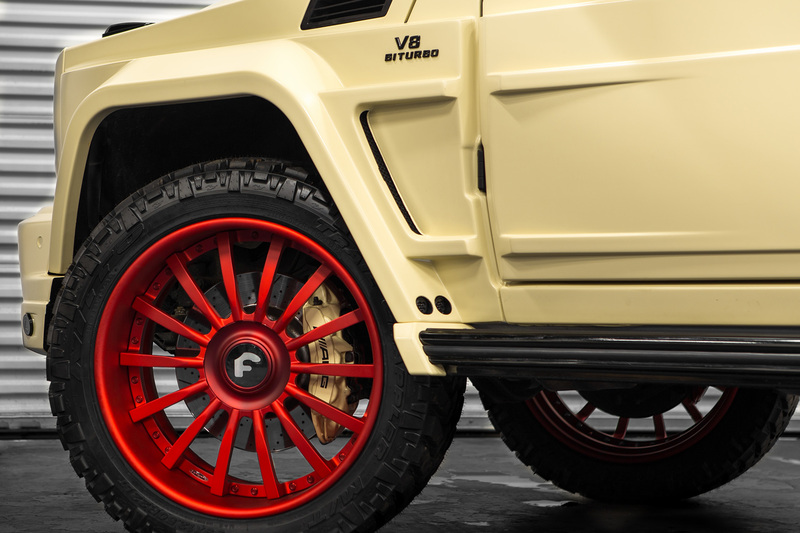 Just last week, we proclaimed that the new G-Wagen platform may be a late adopter of the customization craze due to limited availability and high initial cost. Well, Road Show International of Atlanta, GA proved us wrong in a hurry. 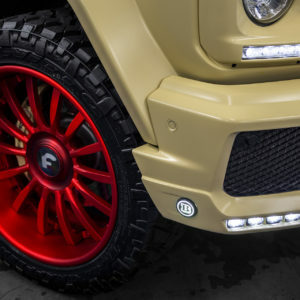 Road Show International has quickly made a name for themselves as a customization outfit that tests the boundaries of the high-end car game and they certainly always are first with the exclusives. Perhaps it’s the celebrity clientele or just the combination of experience and available funds. 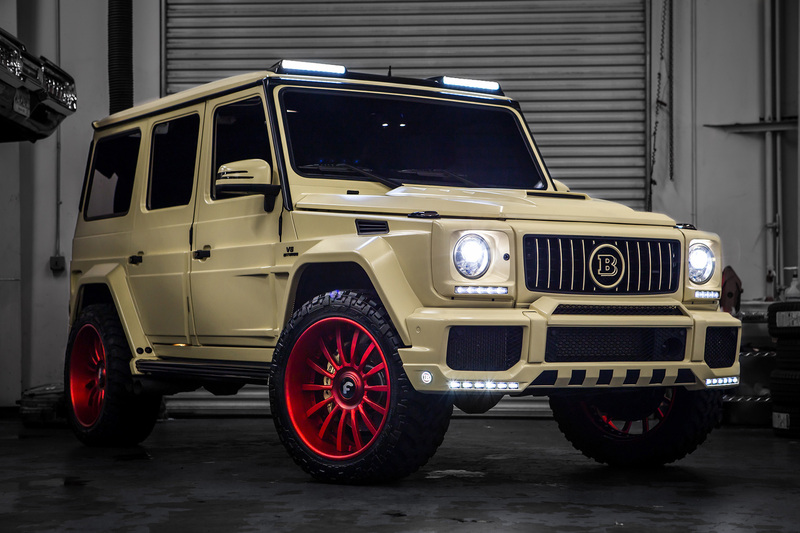 Either way, this G550 is arguably the most custom in the game and it features all the proper additions to crown it king. 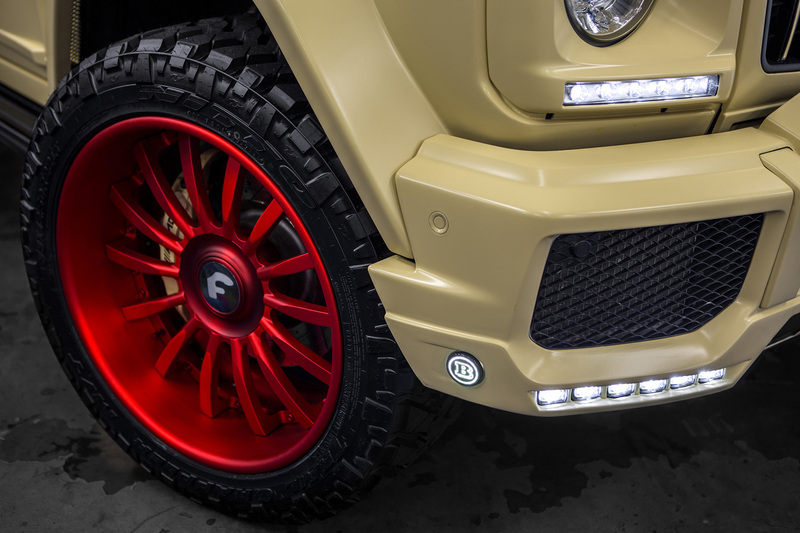 The crew at Road Show began with a 2019 Mercedes-Benz G550 as their blank canvas. All new for 2019, the new G-Class has been completely revamped, ditching the archaic interior and outdated technology of the previous generation. 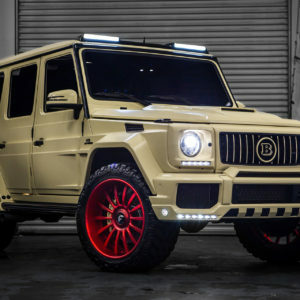 The most notable addition to this luxury SUV is the complete Brabus widebody appearance package that transforms the G550 into something never seen before on the streets. The Road Show team also updated the interior and added additional LED lighting throughout the build. For the rolling gear, Roadshow decided to go completely in the opposite direction of the satin Sand Desert exterior. 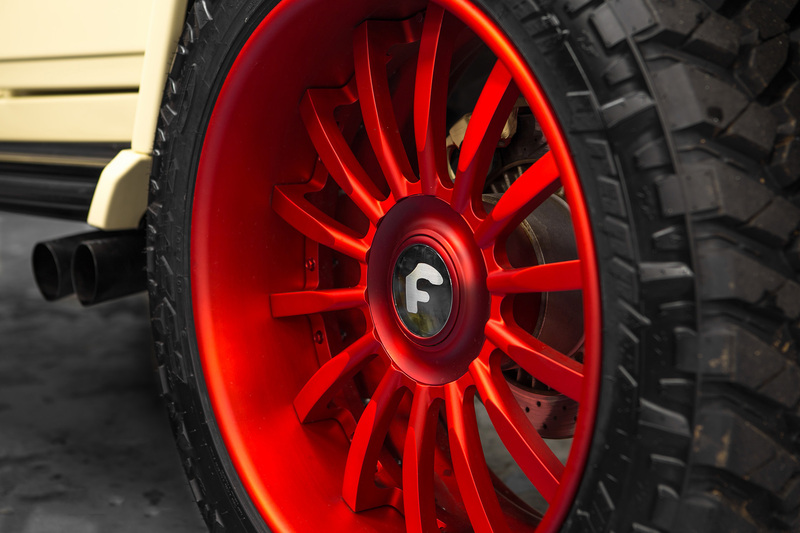 To further enhance the stature and attract a few extra eyeballs, they went with a set of machined red Forgiato F215-ECL wheels with the XL floating cap. 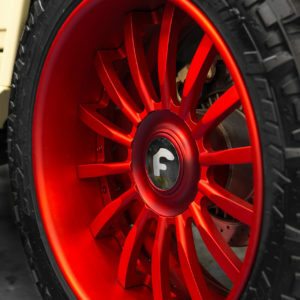 Forgiato is a custom wheel manufacturer based in Los Angeles, CA. All of the wheels are built and finished in house using all American parts.